The financial transaction tax is an issue that never goes away from the public agenda completely. It keeps coming back to the policy and political discussions in different forms across the world. Currently, the idea of a financial transaction tax (FTT) is gaining in popularity within the Democratic Party of the United States as a policy tool to curb excessive speculation and high-frequency trading that destabilizes markets; and to generate a significant amount of revenue to finance social programs such as free college tuition. On March 5, Democrats in both houses of Congress introduced bills to introduce a financial transaction tax in the US. Senator Brian Schatz of Hawaii introduced a bill titled, “The Wall Street Tax Act of 2019” in the Senate while Representative Peter DeFazio of Oregon introduced a companion bill in the House of Representatives. The bill proposes a 0.1 percent tax (i.e., 10 cents on every $100 financial transaction) on stocks, bonds, foreign exchange, derivatives and other financial assets traded in the US markets. While initial public offerings (IPOs) and short-term debt of fewer than 100 days would be exempted from the proposed FTT. Further, the proposed tax would apply to the actual payment for the derivatives contracts between the seller and the buyer, rather than to the notional value of derivatives contracts. The bills are co-sponsored by more than a dozen lawmakers (including Alexandria Ocasio-Cortez and Kirsten Gillibrand) from the House and Senate. Besides, labor unions, civil society groups, and progressive economists have also supported the idea of an FTT. The likelihood of proposed bill becoming a law in 2019 seems remote because not a single Republican in either chamber of Congress has extended support besides there is strong resistance from the powerful financial lobbyists in the US. Despite these obstacles, the financial transaction tax may become a part of progressive tax ideas with the approach of the 2020 presidential and congressional campaigns. Some Presidential candidates – including Bernie Sanders and Elizabeth Warren – have supported versions of an FTT in the recent past. Contrary to popular perception, financial transaction taxes are not new. Many countries including the US, the UK, Australia, Belgium, France, India, Italy, Sweden, and Taiwan have already implemented similar taxes on a variety of financial transactions with mixed outcomes. In the UK, investors pay a Stamp Duty Reserve Tax of 0.5 percent on the purchase price of shares of a company incorporated in the UK or shares of a foreign company that has a UK share register. From 1914 to 1965, a federal FTT was levied on sales and transfers of stock in the US. At present, the US Securities and Exchange Commission (SEC) levies a modest “Section 31 fee” on stock transactions, and the proceeds are used to fund the agency’s regulatory costs. In 2018, about $2bn were collected by the SEC from this fee. In 1984, Sweden introduced a tax of 1 percent on stock transactions. The tax was doubled in 1986, and it was extended to fixed-income securities and derivatives in 1989, albeit at lower rates. In 1991, the tax was abolished. There is a broad consensus in the economic literature that the Swedish FTT was a failure. There are three key reasons why the Swedish FTT failed. First, the tax rates on stocks and some derivatives transactions were too high. Second, the tax was poorly designed as it was levied only on registered Swedish brokerage services that encouraged foreign investors to avoid the tax by moving their trading in Swedish stocks to non-Swedish brokers based in London. As a result, more than half of equity trading volume migrated from Sweden to London. Third, some fixed-income securities were exempted from the FTT due to its narrow scope. Nevertheless, there are many important lessons to be learned from Sweden’s failed experience with the FTT in the 1980s. There is no denying that the revenue potential of any financial transaction tax would depend on its specific design. However, the potential revenue that could be raised with an FTT is very large in the US because more than $1 trillion in stocks and bonds is traded on each business day in its financial markets. As several FTT proposals have been floated in the US in recent years, the revenue potential estimates vary depending on the design of the FTT and modeling assumptions. Also, it is difficult to predict precisely how the behavior of financial market participants will change due to a small transaction tax. Besides, actual revenue collections can fall short of the estimates if market conditions deteriorate. Nevertheless, most estimates show that an FTT in the US could raise between $35bn and $100bn annually. These are not trivial amounts. A recent Congressional Budget Office reportcalculated that a 0.1 percent tax on the value of the securities and 0.1 percent tax on payments flows under derivatives would increase revenues by $777 billion over ten years (2019-2028), based on an estimate by the staff of the Joint Committee on Taxation (see Table 1). This estimate takes into account offsets in income and payroll tax revenues. Source: Staff of the Joint Committee on Taxation. * A loss in revenues is expected in 2019 because the transaction tax would immediately lower the value of financial assets. Apart from reducing the federal budget deficit, part of proceeds of an FTT could be used to fund the Green New Deal (proposed recently by congressional Democrats), healthcare and other welfare programs. Further, the FTT is a progressive way to generate tax revenues as the top 10 percent of American households, own 84 percent of all stocks. Therefore, anyone concerned about the growing income and wealth inequality in the US should welcome the financial transaction tax as it would be progressive in nature. Will the FTT drive trading away from the US to FTT-free jurisdictions? Not necessarily. An FTT in the US may encourage other countries to adopt a similar tax thereby reducing the scope of tax avoidance. As discussed below, some EU member-states are supportive of implementing an FTT within the bloc. If both the US and the EU agree on tax harmonization, international cooperation on the FTT is also feasible in the long run. It is widely acknowledged that the financial sector in the US has remained undertaxed despite achieving unprecedented growth in the last three decades. For instance, most financial services are exempted from value-added tax (VAT) in the US. Same is the case with other developed countries. At its peak in 2007, the financial sector contributed 8.3 percent to the US GDP and accounted for 41 percent of total corporate profits. Eleven years later, Wall Street profits are heading back to pre-crisis levels. Strange it may sound, but too much finance could be bad for the economy as a growing body of economic literature shows that financial development benefits economy only up to an optimal point, beyond which the costs begin to rise. Not only excessive finance can increase the frequency of boom-bust cycles thereby undermining financial stability, but it can also divert resources, talent and human capital from productive sectors of the economy to the financial sector. The 2008 financial crisis and the ensuing bank bailouts have clearly shown that the bloated financial sector can impose significant costs on the broader economy and society. Hence there is a strong rationale for seeking a “fair and substantial contribution” from the financial sector to the fiscal costs of bank bailouts. The 2008 crisis has also raised legitimate questions about the benefits of an oversized financial industry in the US. There is a growing consensus that a stable and well-regulated financial sector is vital for the achievement of long-term sustainable economic growth and developmental objectives. Post-crisis, there has been a great deal of discussion on curbing the short-term speculative trading in the US financial markets. In this context, a financial transaction tax could be a part of the policy toolkit to dampen the unproductive parts of the financial sector. Another key objective of a financial transaction tax is to curb high-frequency trading of doubtful social value. In the last two decades, the landscape of stock market trading has changed drastically with the high-frequency trading (HFT) came into vogue during the 2000s. On Wall Street, the high-frequency traders rely on high-speed connections to trading platforms, use high-powered computers to execute trading orders, and take very short-term positions. HFTs belong to a broader group of traders called algorithmic traders. 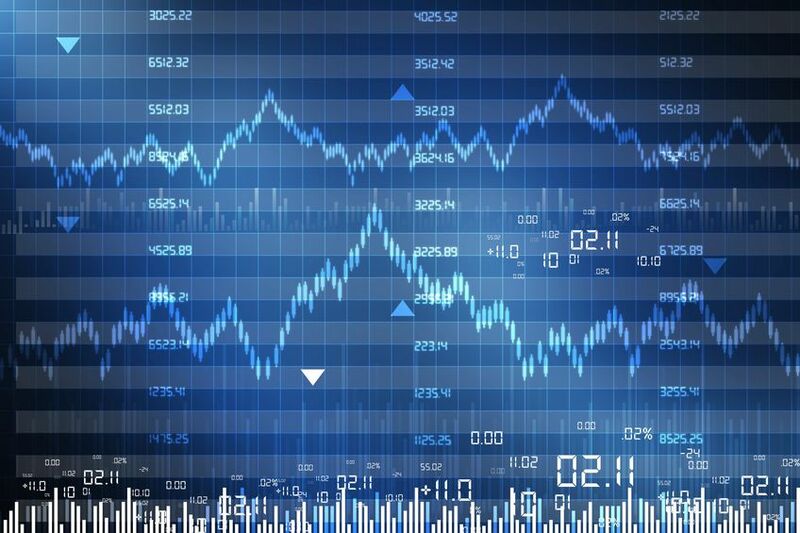 Algorithmic trading is based on a technology-driven pre-programmed mathematical model that allows execution of trading orders at a very high speed (without human intervention) to benefit from the smallest movement in the prices of stocks, commodities, and currencies. Computers execute the buy or sell orders, not in seconds, but microseconds. The high-frequency traders take advantage of tiny differences in prices to book profits at the expense of retail investors with slower execution speeds. Fears have been expressed that HFT could be a source of market instability as witnessed during the 2010 Flash Crash when a rogue algorithm sparked a sudden 9 percent fall in Dow Jones index and wiped out nearly $1 trillion in market value within few minutes. There are also legitimate concerns that the high trading volumes generated by HFT firms can push prices away from fundamental values. The supporters of HFT often highlight its important role as providers of liquidity. However, that role is increasingly being questioned by experts in the light of evidence which shows that high-frequency traders can withdraw from their market-making role if the volatility rises abruptly or if they detect markets are becoming more one-sided. After the 2010 flash crash, regulatory authorities in the US and Europe have introduced new measures (such as circuit breakers) to regulate the harmful HFT. A financial transaction tax could also complement such regulatory measures to rein in high-frequency trading in the US markets. An FTT will make transactions with a shorter time horizon costlier, hence curbing aggressive short-term trading that benefits high-frequency traders more than ordinary investors. What is good for high-frequency traders is not necessarily good for ordinary investors. In the aftermath of the 2008 financial crisis, the idea of introducing a financial transaction tax has gained momentum in Europe. After the G20 leaders failed to endorse an FTT for raising new resources for poor countries, the European Commission in 2011 proposed a European Union financial transaction tax (EU FTT) that would apply to all financial transactions, except the bank loans and primary markets. The base of the proposed EU FTT is very broad covering a wide range of financial instruments and transactions such as securities, derivatives, repos, and money market instruments. Under this proposal, the trading of shares and bonds would be taxed at a rate of 0.1 percent while derivative contracts would be taxed at a rate of 0.01 percent. Further, the FTT would have to be paid if one party to the transaction is located in the EU. The proposed tax was supposed to be launched in January 2014, but it got postponed several times due to lack of unanimity among all EU member states on how this tax would be implemented. In 2013, an attempt was made to introduce an FTT in 11 member-states through the instrument of ‘enhanced cooperation’. After that, the UK’s 2016 referendum to leave the European bloc has further delayed this process. It is important to note that some member-states such as France, Belgium, Italy, and Greece have already introduced a tax on financial transactions within their jurisdictions. France introduced an FTT on equities in August 2012 while Italy introduced it in March 2013. These member-states have confirmed their commitment to introducing an EU-wide FTT, despite strong opposition from European financial firms and some member-states such as the UK and Sweden. In the coming years, the FTT is likely to remain on the EU agenda even though the bloc is currently grappling with the potential Brexit fallout. India introduced a securities transaction tax (STT) on stock market transactions in 2004 and based on its success, a commodity transaction tax (CTT) on trading of non-agricultural commodity futures contracts in 2013. From 2018 onwards, the CTT has also been imposed on commodity options contracts which were introduced in the Indian markets. The rate of STT varies with the type of transaction and security. Table 2 provides the STT rates applicable to various types of securities transactions in India for FY 2019-20. In a recent op-ed article in Financial Times, Kirsten Wegner, chief executive of Modern Markets Initiative, an advocacy group sponsored by high-frequency traders, claimed that India’s experiment with the FTT had failed badly. Contrary to Ms. Wegner’s assertion, financial transaction taxes are alive and kicking in India. From a revenue generation perspective, India’s STT has been a success story with the average collection of $1bn for the past eight fiscal years. During 2017-18, the STT collection touched Rs.118bn ($1.6bn), not a trivial amount in a country with a narrow tax base. The Indian experience shows that both transaction taxes are an efficient instrument of tax collection as the tax is collected by the exchanges which then pay it to the exchequer, thereby overcoming cumbersome bureaucratic processes. Some of the concerns raised by the critics of India’s financial transaction taxes have not yet materialized in the Indian markets. The critics had anticipated a lower trading volume would reduce liquidity, and thereby market quality. There is no evidence to suggest that the transaction taxes have triggered a liquidity squeeze in the Indian markets. Ms. Wegner refers to fall in trading volume in the Indian commodity markets during 2013-14 and puts the blame solely on the CTT. There is no denying that the commodity trading volume dropped during 2013-14, but the principal reason behind the drop was the Rs.6bn payment scam that broke out at National Spot Exchange Limited in July 2013, not the CTT of 0.01 percent as argued by Ms. Wegner. In this scam, some 200 big commodity brokers alleged to have colluded with the exchange to defraud investors. Since 2017, trading volumes and liquidity at the Indian commodity exchanges have gone up despite the CTT. Besides broadening the taxation of the financial sector, these taxes can enable Indian authorities to trace certain transactions that undermine market integrity. The transaction taxes could be particularly valuable to the authorities as alternative mechanisms to track the flow of illicit money into the Indian financial markets are weak. Besides, a centralized database of money flows helps fill the large information gaps about the real ownership of financial assets. Is the FTT a Silver Bullet? Of course, an FTT is not a panacea to all the ills plaguing Wall Street but its potential to raise substantial tax revenues and to curb high-frequency trading of doubtful social value cannot be overlooked. The success of an FTT in the US would largely depend on the design of the tax. The tax should be levied widely, covering a wide range of financial instruments, transactions, and institutions to prevent tax avoidance. The US authorities need to design the FTT in such a manner that maximizes revenue and minimizes the distortions. Achieving multiple policy objectives through an FTT will always be a balancing act. To make it effective and responsive, the proposed FTT may need additional fine-tuning as nowadays market conditions change rapidly. The US is in an advantageous position as it can learn from different countries experiences (both positive and negative) with the STT. It can design the proposed tax based on some successful examples while avoiding the design flaws of the Swedish FTT. If carefully designed, and used in conjunction with other regulatory measures, an FTT has the potential to rein in casino mentality and short-termism that characterize the US financial markets. The text of the Bill is available at https://www.congress.gov/bill/116th-congress/senate-bill/647/text?q=%7B%22search%22%3A%5B%22congressId%3A116+AND+billStatus%3A%5C%22Introduced%5C%22%22%5D%7D. Congressional Budget Office, “Budget Options: Impose a Tax on Financial Transactions”, December 13, 2018. Available at https://www.cbo.gov/budget-options/2018/54823. See, for instance, Stephen G. Cecchetti and Enise Kharroubi, “Reassessing the Impact of Finance on Growth”, BIS Working Paper No. 381, Bank for International Settlements, July 2012; Stephen G. Cecchetti and Enise Kharroubi, “Why Does Financial Sector Growth Crowd Out Real Economic Growth?”, BIS Working Paper 490, Bank for International Settlements, February 2015; Ratna Sahay & others, “Rethinking Financial Deepening: Stability and Growth in Emerging Markets”, IMF Staff Discussion Notes 15/08, International Monetary Fund, 2015. Adair Turner, “What Do Banks Do? Why Do Credit Booms and Busts Occur and What Can Public Policy Do About It?”, The Future of Finance, The LSE Report, London School of Economics and Political Science, 2010. Available at https://harr123et.files.wordpress.com/2010/07/futureoffinance5.pdf. Quoted in Tyler Durden, “JPM Explains How HFTs Caused Friday’s Sterling Flash Crash”, Zero Hedge, September 10, 2016. Available at https://www.zerohedge.com/news/2016-10-09/jpm-explains-how-hfts-caused-fridays-sterling-flash-crash. Didier Sornette and Susanne von der Becke, “Crashes and High Frequency Trading”. Swiss Finance Institute Research Paper No. 11-63, August 2011. Available at https://ssrn.com/abstract=1976249. Kirsten Wegner, “US Financial Transaction Tax would put Unfair Burden on Savers”, Financial Times, March 11, 2019. Available at https://www.ft.com/content/5a0c9816-41b9-11e9-9499-290979c9807a.